All U-M Box accounts are required to use Single Sign On (SSO) with uniqname and UMICH password to login (as long as the app’s login allows it). If you previously set up an external password with your account, it does not work where SSO is supported. External passwords continue to be used for FTPS, WebDAV and third party (non-core) apps not able to use SSO. If you see a link to use SSO, do so. 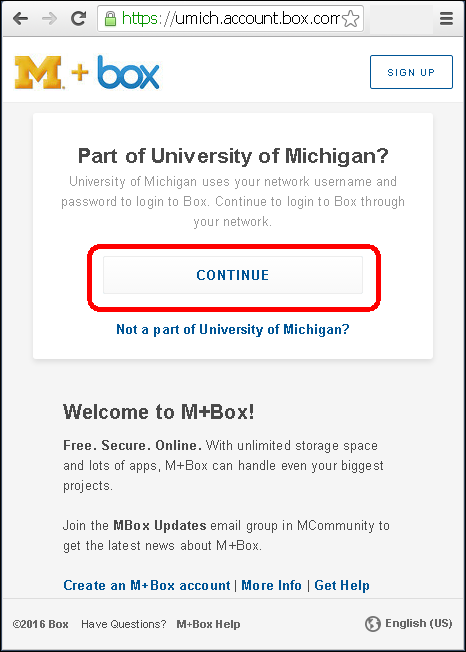 Tip: box.it.umich.edu takes you directly to the U-M WebLogin page. 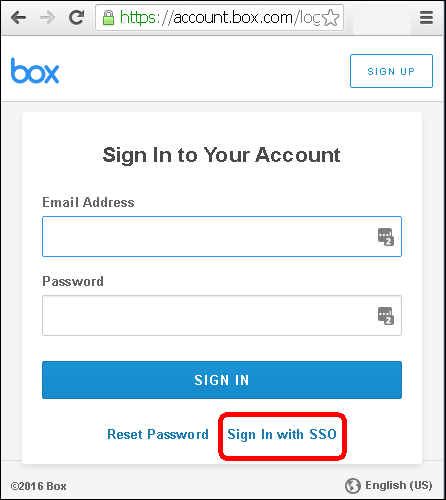 When logging into box.com, click Sign In with SSO. Pay special attention to Box Sync and mobile apps. They typically don’t ask for a password after the first login. A UMICH password is needed when you log in with the account. Click Use Single Sign On. 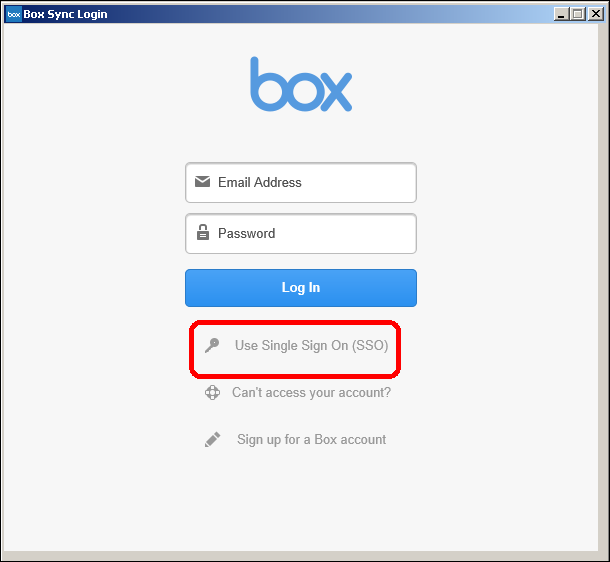 Click Use Single Sign On (SSO). 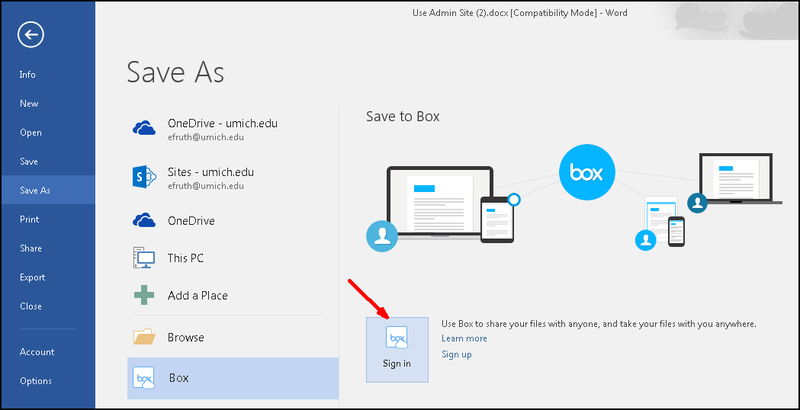 Since Box shared folders appear in collaborators’ Box accounts, there is rarely a need to log into a Box shared account directly. 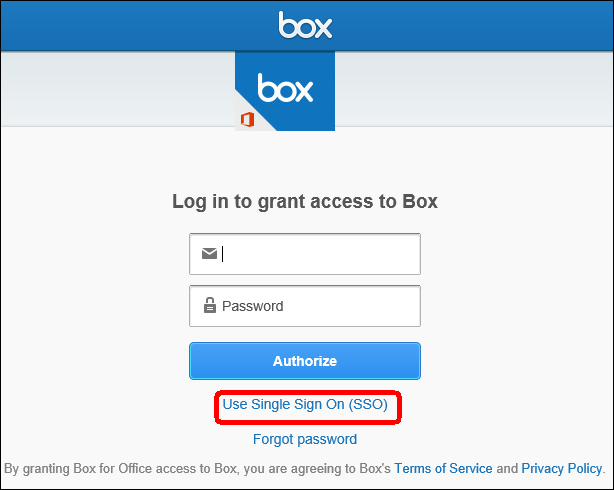 Single Sign On (SSO) is required to do so. Password resets for shared accounts can be requested by an Owner of the MCommunity group associated with the account. Because MCommunity groups can have many owners, we ask that you check with the other co-owners to make sure one has not already been requested.